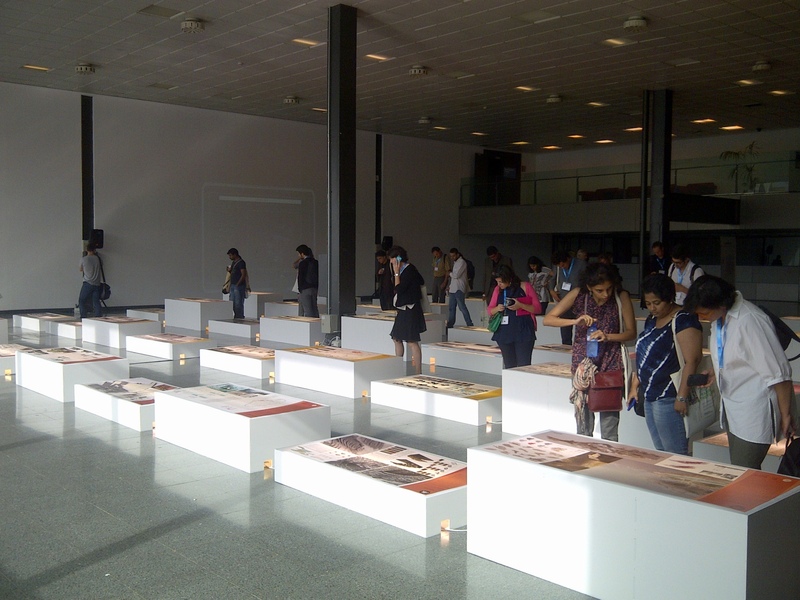 On Monday this week I attended the World Bank’s “Rethinking Cities” Symposium in Barcelona. I was asked to give presentations to the Symposium on the contributions technology could make to two challenges: improving social and physical mobility in cities; and the encouragement of change to more sustainable behaviours by including “externalities” (such as social and environmental costs) in the prices of goods and services. (In her speech ahead of the Rio +20 Summit, Christine Lagarde, Managing Director of the International Monetary Fund, said that one of the challenges for achieving a sustainable, equitably distributed return to growth following the recent economic challenges was that these externalities are not currently included in prices). These two topics are clearly linked. The lack of access that some city communities have to economic and personal opportunity is in part a social consequence of the way that systems such as education, transport and planning operate. As human beings, however altruistic we are capable of being, each day we take tens or hundreds of decisions which, in the moment, are consciously or subconsciously based on selfish motivations. We drive cars to work because it’s quicker and more pleasant than using public transport; or because it’s quicker, easier and safer than cycling, for example. The accumulation of all of these decisions by all of us defines the behaviour of the cities we inhabit. In principle we might all be better off – proximity allowing – if we cycled or walked to our places of work, or to school with our children. It would be safer because there would be less traffic; both the exercise and the reduction in pollution would improve our health; and we would probably talk to our neighbours more in the process. One of the reasons we don’t currently choose cycling or walking for these journeys is that we are too busy working to afford the time involved in doing so. Crudely speaking, we are in competition with each other to earn enough money to survive comfortably and to afford the lifestyles we aspire to. “Game Theory” – the mathematical analysis of human decision-making in groups – has something interesting to say on this subject. To oversimplify a complex and subtle field, Game Theory predicts that if we suspect each other of behaving selfishly, then we will behave selfishly too; but that when we observe others behaving in the common interest, then we are likely to behave in the same way. So if we all knew that all of us were going to spend a little less time at work in order to walk with our children to school and then cycle to work, then we could do so, safe in the knowledge that individually we wouldn’t lose out, couldn’t we? Obviously, that’s a ridiculous suggestion. Except … in his plenary talk at the World Bank Symposium, Harvard Professor of Economics Edward Glaeser – author of “Triumph of the City” – at one point commented that part of the shift towards a more sustainable global economy might be for those of us who live in developed economies to forgo some monetary wealth in favour of living in more attractive cities. So just maybe the suggestion wasn’t completely crazy, after all. In Monday’s discussions at the Symposium we explored how sustainable choices could be made available in a way that appeals to the motivations of individuals and communities. We examined several ways to create positive and negative incentives through pricing; but also examples of simply “removing the barriers” to making such choices. For example, if information was made available on demand to make it easier to plan a complete door-to-door journey using sustainable forms of transport such as cycling, buses, trains and shared car journeys, would people make less individual journeys in private cars? Services are already emerging to provide this information, such as Moovel (a commercial offering) and Open Trip Planner (a free service using crowdsourced data). They are just two examples of the ways in which the availability of information is making our cities more open and transparent. At the moment, both services are too new for us to make an assessment of their impact; but it will be fascinating to observe their progress. The lesson of Game Theory is that this transparency – which I think of as “Open Urbanism” in this context – is what is required to enable and encourage all of us to make the sustainable choices that in their collective impact could make a real difference to the way that cities work. I’d like to explore four aspects of Open Urbanism a little further to support that idea: Open Thinking; Open Data; Open Systems and Open Markets. The simplest expression of Open Urbanism is through engagement and education. In the afternoon plenary debate at the Rethinking Cities symposium, the inspirational Jaime Lerner spoke of a city recycling programme that has been operating successfully for many years; and that involves citizens taking the time to separate recyclable waste in return for no direct individual benefit whatsoever. So how were they persuaded to spend their time in this way? It simply began by teaching children why sorting and recycling waste was important, and how to do it. Those children taught and persuaded their parents to adopt the behaviour; and in time they taught their own children. In this way, recycling became a cultural habit. Jaime later referred to the general concept of “urban acupuncture” – finding a handful of people who have the ability to change, and understanding what it takes to encourage them to change – a bit like planting a tiny needle in exactly the right place in the city. The information available about cities, businesses, current events and every other aspect of life is increasing dramatically; through the Open Data movement; through crowdsourced information; through the spread of news and opinion via social media; and through the myriad new communication forms that are appearing and spreading every day. The availability of this information, and the awareness that it creates amongst us all of how our cities and our world behave, creates a powerful force for change. For example, a UK schoolgirl recently provoked a national debate concerning the standard of school meals simply by blogging about the meals that were offered to her each day at school, and in particular commenting on their health implications. And my colleagues in IBM along with our partners Royal Haskoning and Green Ventures have helped the city of Peterborough to understand, combine, visualise and draw insight from information concerning the environment, the economy, transport and social challenges in order to better inform planning and decision making. The next stage is to develop models from this data that can simulate and predict how the many systems within cities interact; and the outcomes that result from those interactions. IBM’s recent “Smarter Cities Challenge” in my home city of Birmingham studied detailed maps of the systems in the city and their inputs and outputs, and helped Birmingham City Council understand how to developed those maps into a tool to predict the outcomes of proposed policy changes. 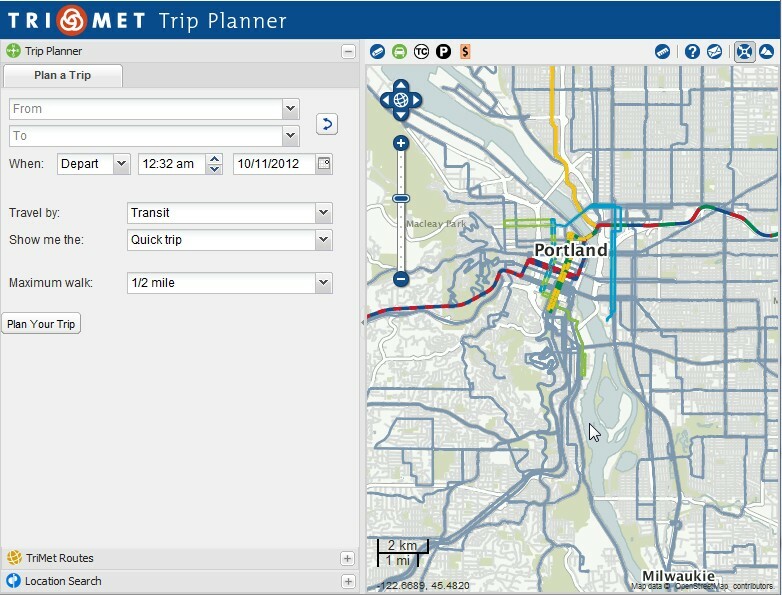 In the city of Portland, Oregon – as shown in the video below – a similar interactive tool has already been produced. As data is made available from city systems in realtime, these models can be used not just to explore potential changes in policy; but to predict the dynamic behaviour of cities and create intelligent, pro-active – and even pre-emptive – responses. We can collect and access data now from an astonishing variety of sources: there are 30 billion RFID tags embedded into our world, across entire ecosystems of activity; we have 1 billion mobile phones with cameras able to capture and share images and events; and everything from domestic appliances to vehicles to buildings is increasingly able to monitor its location, condition and performance and communicate that information to the outside world. These sources can tell us which parking spaces are occupied, and which are free, for example. Streetline are using this information in San Francisco to create a market for parking spaces that reduces traffic congestion in the city. In South Bend, Indiana, an analytic system helps to predict and prevent wastewater overflows by more intelligently managing the city’s water infrastructure based on realtime information from sensors monitoring it. The city estimates that they have avoided the need to invest in hundreds of millions of dollars of upgrades to the physical capacity of the infrastructure as a result. If such information is made openly available to innovators in city economies and communites, surprising new systems can be created. At a recent “hackathon” in Birmingham, an “app” was created that connects catering services with excess food to food distribution charities who can use it. That same information can create an appeal to our sense of community and place. The city of Dubuque in Iowa provides citizens and businesses with smart meters that measure and analyse their water use. They can detect when domestic appliances are used on inefficient settings, or when there is a leak in the water supply. A pilot project in Dubuque found that people were twice as likely to act on this information when they were not only provided with insight into their own water usage; but also provided with a score that ranked their water conversation performance compared to that of their neighbours. To return to the initial subject of this article, interesting new technology-enabled systems such as local currencies are emerging that could embed information from open city systems into the pricing systems of new markets within cities – and thereby quantify the cost of “externalities” in those markets. 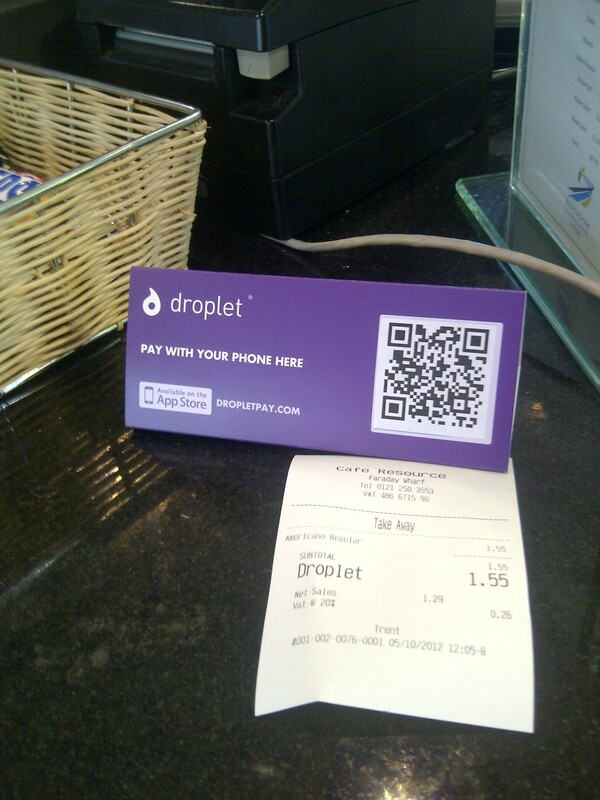 For instance, the Brixton and Bristol Pounds are local currencies intended to reinforce local economic synergies; and in Birmingham Droplet are now making their first payments through their local SmartPhone Payment system which similarly operates between local merchants. We are on the cusp of incredibly exciting possibilities. Local currencies and trading systems could enable marketplaces in locally-generated power; or in localised manufacturing using technologies such as 3D printing. They could exploit distribution systems such as the one that Amazon make available to their marketplace traders; and underground waste and recycling systems that take waste and recyclables direct from the home to the appropriate recycling and disposal centres. I can only image the city systems that might result if these capabilities and sources of information were made openly available to innovators within city communities. They could create solutions that are Smarter than we can imagine. Personally I’m convinced that this “Open Urbanism” is an essential part of the journey towards the sustainable city of the future. I’ve just been looking at Stafford Beer’s ‘Designing Freedom’, in it he explains that computers and technology should be used in order to make sense of all the information we have all around us. He explains that currently computers add to the confusion, but that the way forward would be to use technology and computers to make sense of all this information for us and for decision makers. I hope this is the direction things are moving in. Great article on the benefits of Open urbanism. The examples you’ve given are also excellent at showing how technology can be used as a driver to promote the change. I’d like to hear your thoughts on what seems to be some underlying assumptions for making this work, and if these are necessities for success. For example, supportive leadership, supportive policies and regulations, quality of data (i.e. how big is the pool of people with smartphones who can contribute data or utilize the data? As well, is this pool coming from a specific demographic? ).